From Britain’s darkest and finest hour to the great alliance and ultimate victory, the Second World War remains the most pivotal event of the twentieth century. 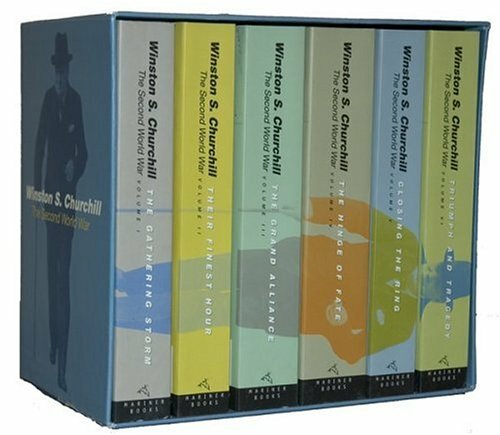 Winston Churchill was not only the war’s greatest leader, he was the free world’s singularly eloquent voice of defiance in the face of Nazi tyranny, and it’s that voice that animates this six-volume history. Remarkable both for its sweep and for its sense of personal involvement, it begins with The Gathering Storm; moves on to Their Finest Hour, The Grand Alliance, The Hinge of Fate, and Closing the Ring; and concludes with Triumph and Tragedy.